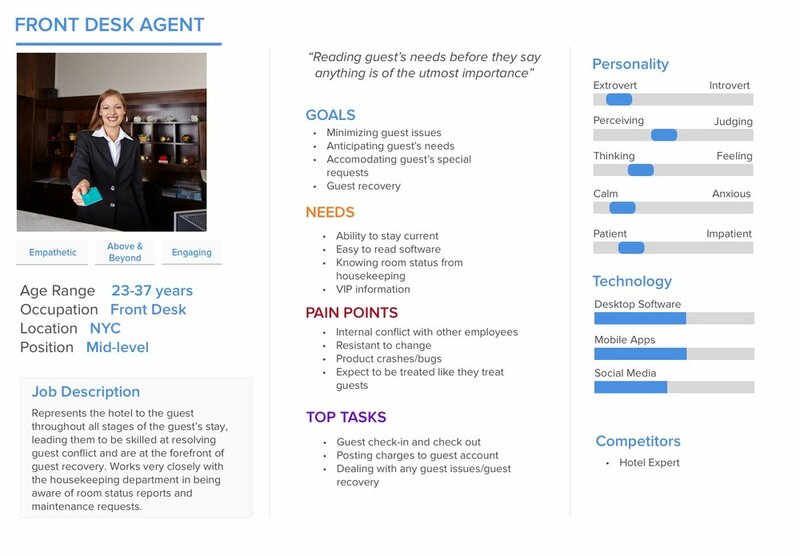 ALICE is a B2B and B2C SAAS hospitality platform that allows for easy communication through all departments of a hotel and the guest staying in the hotel. As part of ALICE’s first user research initiative, I had the opportunity to unlock the goals, pain points and needs behind the users of the ALICE platform in order to help the company create a research strategy and cultivate empathy within this user base. There was some basic understanding of the day-to-day user, but most of the research conducted was within the market/sales realm. The understanding of how users actually used the ALICE platform was minimal. We went into this project with the overall objectives of understanding how users used the platform, uncovering pain points, gaps or bugs in the product and discovering potential product innovation opportunities. My approach was to begin the process of generative research, which created a more holistic understanding of who ALICE users are, how they are currently using the product, as well as any needs or pain points they feel while using ALICE (or how ALICE could help outside of the current platform capabilities). This approach would greatly help the company develop empathy and understanding for who their users were, allowing for better and more user-centric product releases and changes. Due to this research, several ideas already in the making pivoted in order to align better with user’s expectations and needs. We primarily focused on the most heavy user of the ALICE product, hotel concierge, and then did some additional research with housekeeping and hotel engineering to make sure we were fully understanding the hotel ecosystem. 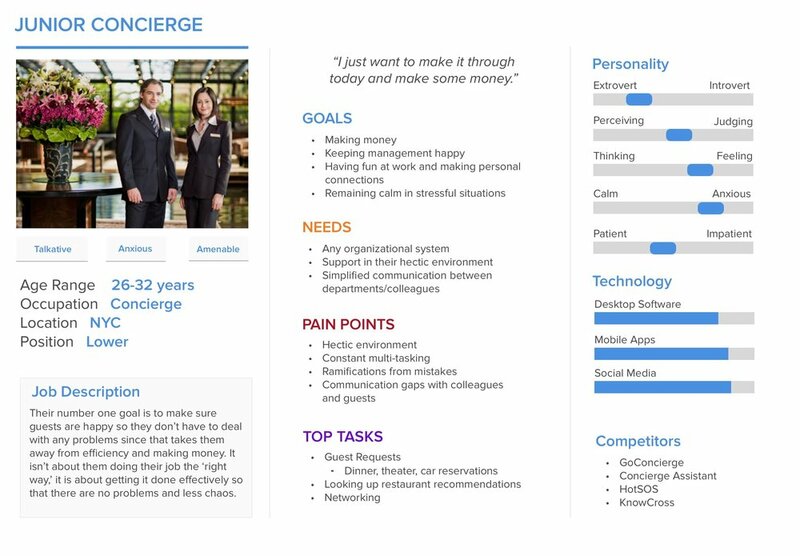 - I conducted generative research interviews with seventeen concierge, six front desk agents, nine housekeepers and nine engineering staff. Each research session was about 60 minutes. - Each interview was extremely open-ended and more of a conversation which started with their day-to-day responsibilities and how they learned about ALICE. Users then walked us through how they used the platform and showed any major pain points or gaps. I also asked them to show me exactly what the pain points were and any other questions the team and I deemed relevant. All sessions were recorded, with permission, and notes were taken by my colleagues and me. We continued iterating on the personas and deepened our understanding of our users. Through this research, and other opportunities, we were able to expand from a hotel only platform to also supporting residential buildings through the ALICE platform. - Ask people how they would like to see research synthesized - they may not be sure, but they might also have some really great ideas!